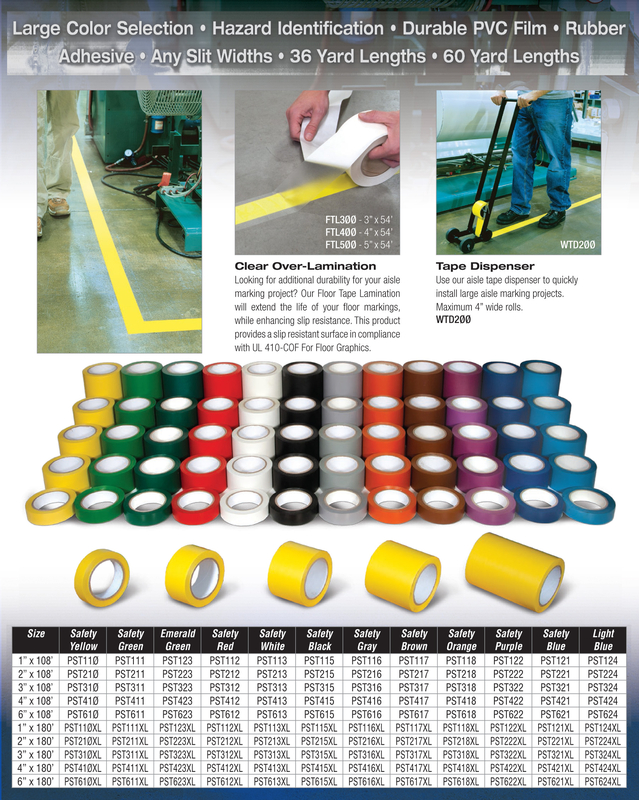 Vinyl Warehouse Floor Marking Tape. Very affordable way to mark floors and other objects. 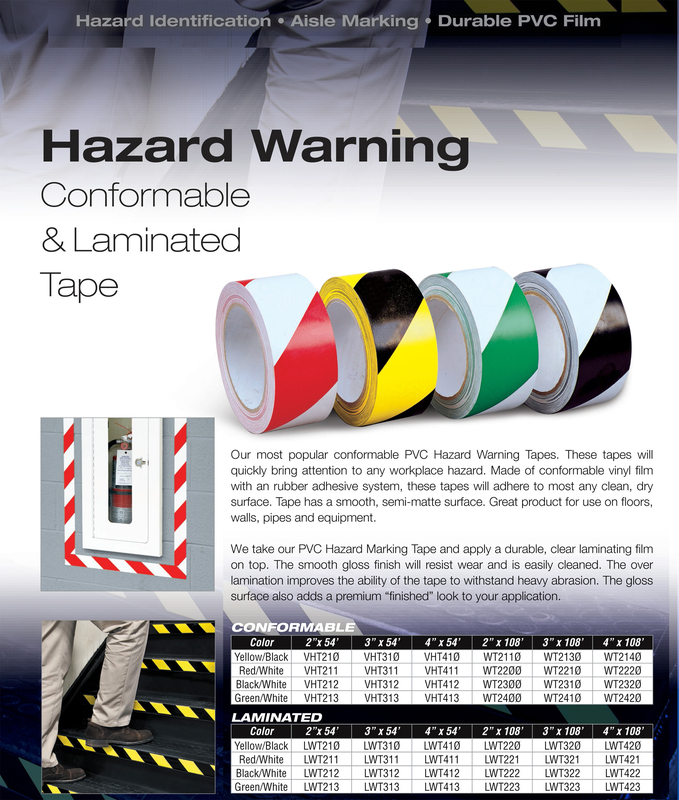 Matte smooth conformable vinyl tape is great for marking hazardous areas in factories as well as equipment and walls. 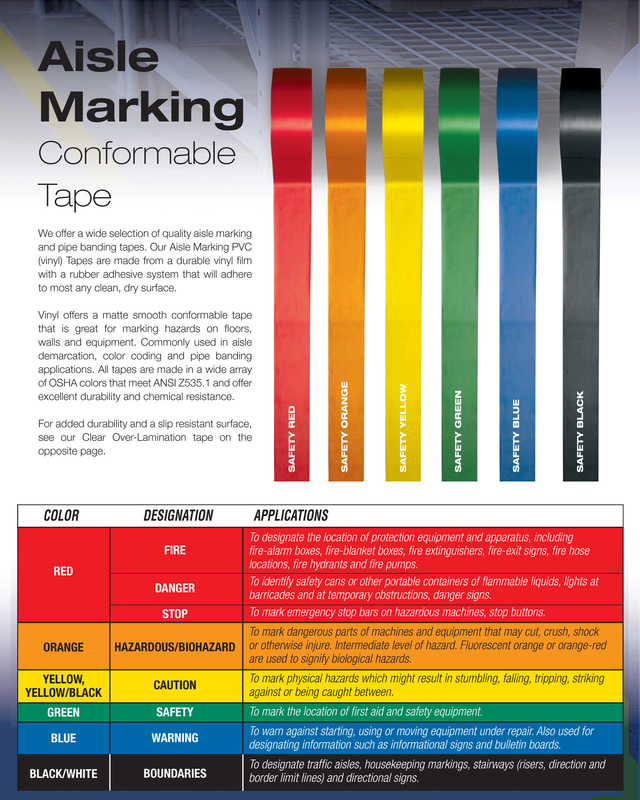 Available in a variety of OSHA colors that meet ANSI Z535 requirements. Uses a strong rubber adhesive that adheres to most smooth dry surfaces. Available in 11 colors - Red, Orange, Yellow, Green, Blue, White, Black. Yellow/Black Striped, Red/White Striped, Black/White Striped, Green/White Striped. 5 Widths - 1", 2", 3", 4", 6".